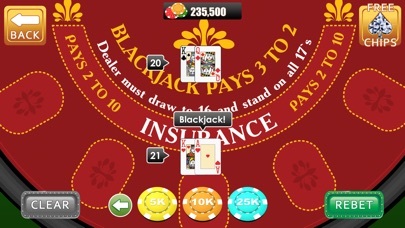 -BLACK JACK - HUGE WINS - REALISTIC FUN! 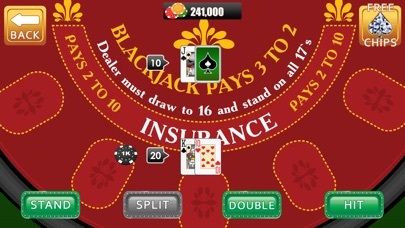 21 or as it's also called, BLACK JACK is one of the most popular casino games in the world! Now you have the chance to play it wherever you are, on your own portable device! 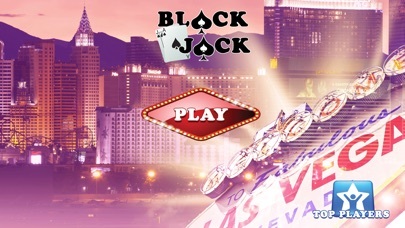 Experience all the fun from real black jack, wherever you are! 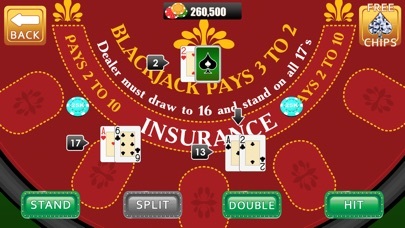 SPLIT - DOUBLE UP - INSURANCE -21- Plays just like in the real life! Download it now and enjoy all the fun! Good poker game. Just have fun. 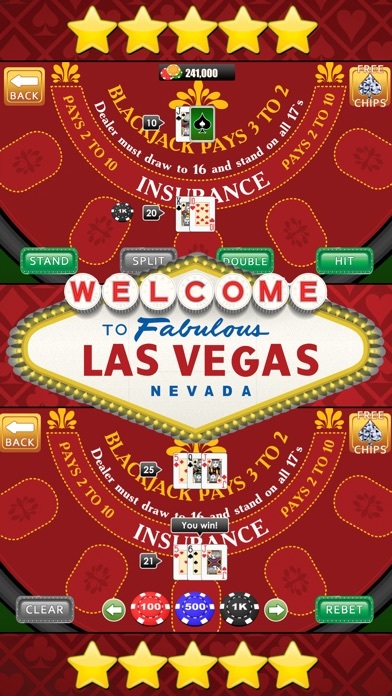 Fantastic black jack game! I'm totally hooked and can't put it down, just like in real life but better! And cheaper, since it's completely free and doesn't have any IAP's ;) five stars for sure!! Beautiful graphics and wonderful colors and great game experience . Addictive and fun!